April 28, 2016 – We have stayed at this property a number of times, and it is just lovely. The condo is decorated with a very “beachy” feel, and is also neat and clean. There is plenty of space, and very comfortable for families wanting to get away for a fun vacation. The bedrooms, bathrooms and living area are everything you need, along with a very functional kitchen and laundry room! It is located very close to the pool, exercise room and tennis courts which is really nice. 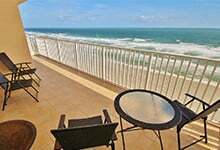 The ocean is only a short walk away, and the beach is amazing!! There are so many restaurants to try out, and going to Flagler downtown is so much fun !!! They have nights of karaoke or food/drink specials and it is just a lot of fun. There is a Dollar General Market or Walgreen’s close to the condos where it is very convenient to get whatever you need for your stay. It is a great place to go on walks or bike rides or just relax. 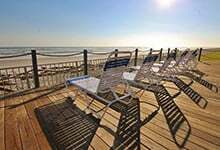 We would definitely recommend this to anyone looking for a nice place to stay in New Smyrna Beach. This place is awesome!!! !